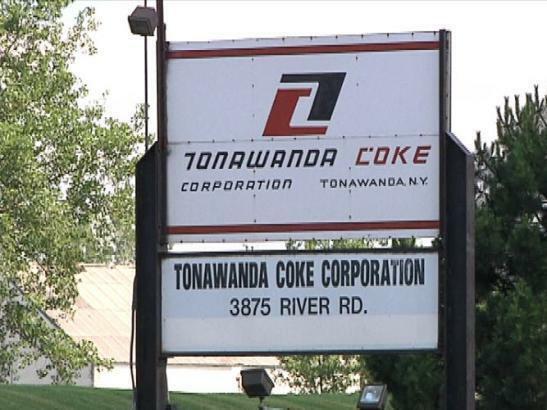 On Sunday, Tonawanda Coke suspended operations and began shutting down operations to permanently close its facility. In a statement, the EPA said it is conducting real-time air monitoring for sulfur dioxide, fine particles and volatile organic compounds, including benzene, in the event of an incident at the facility during shutdown. It said air-monitoring stations are located at the gatehouse of the facility and in five locations in the nearby community, including an elementary school. The EPA collected samples on Monday and Tuesday and lab analyses are being performed. Rsults are expected in the next few days and will be shared with the public. The agency said real-time monitoring indicates that levels established to protect the public have not been exceeded and air-monitoring will continue until all flammable gases are purged from the system. Town of Tonawanda Supervisor Joe Emminger has said that was expected by the end of this week. In the meantime, the New York Department of Labor has a Rapid Response team assisting impacted workers with intensive job placement services and unemployment and medical benefits information. Two Rapid Response sessions are scheduled for impacted workers Thursday at 9 a.m. and 1 p.m. at the United Steel Workers Union Hall (810 Sheridan Drive, Tonawanda). Computers will be available for affected workers to apply online for unemployment insurance and search for jobs. All workers are welcome at these sessions, whether they are represented by the union or not.